My name is Alexa but many of my friends and family call me Lex or Lexa. When thinking of what to name my blog I combined my nickname, Lexa, with my middle name, Bryn, and voila! – Lexa Bryn was created. 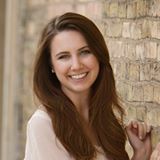 I was born and raised in central Wisconsin, attended University of Wisconsin – Madison, majoring in Strategic Communication in the School of Journalism and continue to call Madison home, working at a local Social Media/PR Agency. I’ve loved the world of fashion and styling outfits for as long as I can remember. In my middle school years I religiously watched Project Runway and still remember the chills I got when I read my very first issue of Vogue. The mid-2000s were a tough time to fall in love with fashion. The recession had just begun and yet fashion was all about “it” bags, designer logos and exclusivity. Creating budget-friendly outfits inspired by what I saw in Vogue and Harper’s Bazaar was my escape. In those years I poured myself into countless books, magazines, websites, movies, TV shows and documentaries on anything and everything to do with fashion history and personal style. I created Lexa Bryn to share with you all of the personal style tips, tricks and strategy I have collected and refined over the years! Through this blog I want to not only show you my style journey but to help you begin yours! I’m here to be your style strategist, to teach you how to build your dream closet full of pieces that give you joy every time you put them on through a combination of money-smart and personal style discovery tactics. Who’s ready to start their style journey with me?